In Japan, there are plenty of insurance companies that offer a vast variety of insurance packages, starting from such small things as bicycle insurance and going all the way up to earthquake or flood damage insurance. It is easy to get lost in all the companies and packages offered by the Japanese insurance market. Yet, postponing the decision on which one to take is not an option, especially for the business owners: once you face a problem and do not have an insurance coverage, you will have to pay from your own pocket. Thus, it is good to settle your business insurance matters as soon as possible. This page will provide a high-level overview of business insurance types in Japan and guide you through peculiarities of each of them to help you choose the right one for you and your business. Company’s employees: generally speaking any employee that works over 20 hours/week for at least 1 month. Some of those expenses are covered by the business, some are deducted from the employee’s wages, some a joint payments from them both. Thomson and Reuters provide the following explanation of who is considered to be a worker in Japan. part-time (hourly paid) employee that is paid on an hourly basis for the hours actually worked. A dispatched worker is an employee of the dispatching agency and there is no employment relationship between the dispatched worker and the company that receives the dispatched worker. An independent contractor is not an employee and the labour laws do not apply. Public Liability Insurance (中小企業保険, chuushou kigyou hoken or PL保険, PL hoken) is the only insurance type required for business of all sizes and types of incorporation at all times. It is necessary to protect companies, especially small-to-middle businesses and startups, from claims made by the third parties against loss and damage of the property, economic and financial loss, negligence, injury and death, etc. It also protects company from the unforeseen damages and losses, such as floods, earthquakes, etc. Without this insurance any damage to the company or to the third parties must be covered by the company itself. Taking into account how much investment is made into the business during the setup stage, small companies and startups are rarely capable to sustain their operations after they had to cover the damage from the company’s assets. Moreover, if company assets are not enough to repay the losses then the key people in the company (owners) will be held liable to cover the damage with their own assets. For example, with their savings, vehicle, or even a house. Thus, Public Liability Insurance is compulsory to all the companies in order to prevent bankruptcies due to coverage of losses from the company funds. S-type: up to JPY 50,000,000. A-type: up to JPY 100,000,000. B-type: up to JPY 200,000,000. C-type: up to JPY 300,000,000. Regardless of a company type, there are two options of maximum repayments available: JPY 300,000 and JPY 100,000,000. *Some companies provide combinations of the PL Insurance and other types of insurances that we will discuss below: car insurance, premises and tools insurances, etc. Thus, when choosing an insurer or insurance package make sure to check the terms and conditions of your policy to know what types of exclusions there are in your insurance contract. For example: will the insurance cover incidents that happened not in the building but in its vicinity, on the height, etc. Choosing the most suiting type of insurance will require a comparison of many options. If your company has employees, then regardless of their nationality as an employer you must enroll them into the following programs and participate in contribution payments. It consists of two parts: unemployment insurance (雇用保険, koyou hoken or失業保険, shitsugyou hoken) and Employees’ Liability Insurance or Workers’ accident compensation insurance (労働者災害補償保険, roudousha saigai hoshou hoken). The unemployment insurance is managed by governmental program Hello Work. The typical contribution is 0.7% from the employer and 0.4% from the employee. Workers’ accident compensation insurance covers employees’ or their supervisors’ who have been injured, contracted an illness or died performing their work-related duties or while commuting to/from work. Premiums for employees’ insurance vary from 0.3% to 10.3% of the employee’s monthly salary. On the lower end of this scale are less dangerous jobs like working in the office while higher premiums go to dangerous occupations like mining, works in metal and coal industries, etc. Medical compensation: covering hospital and treatment expenses when a worker uses hospitals and facilities designated by the employer. It may also include transportation costs and home treatment. When using this benefit the employee does not pay anything. Lost Wage: if the employee has missed certain number of days due to injury, illness, etc., after an agreed day the employer starts to cover 2/3 of the employee’s salary that this person misses because of their temporary inability to work. Illness or injury pension: in cases of heavy injuries or prolonged illnesses that lasted for more than 18 months, an employee can start receiving this type of pension. Disability pension: payable to all the employees that could not fully recover from the work-related incident. There are 14 levels of disability covering nearly 140 types of disabilities. Nursing Care Compensation: additional payment to the injury or disability pension upon meeting certain requirements. Bereaved Family Compensations: payments to the family of the deceased employee who depended on the employee as a main financial supporter. Funeral Expenses Coverage: partially covers the funeral of the deceased employee. Secondary Screening Examination Compensation: covers the costs of the regular medical checkups, if applicable. Health Insurance contributions usually paid by both employer and employee, 4.985% each. Pension Insurance contributions are usually around 0.87% for both employer and employees. However, the rate may vary depending on the type of employment and work. More information on how to apply and calculate monthly rates is in our special Insurance and Pension Guide. Business property and contents insurance covers your company’s premises, equipment, or stock against theft or burglary, floods, fire, earthquakes, etc. Revenue protection that is done by coverage of the key person in case your business depends on one or two peoples’ expertise or knowledge to exist, or through coverage of business interruption service in case you cannot continue operations for a while as the result of an insurance case, e.g. a fire or a flood. Car insurance is compulsory for all car owners and must cover at least third party liabilities for drivers and passengers. It is called Mandatory Inspection Fee and is purchased for 2 years. The price is about JPY 20,000 – 50,000. Life and/or health insurance. 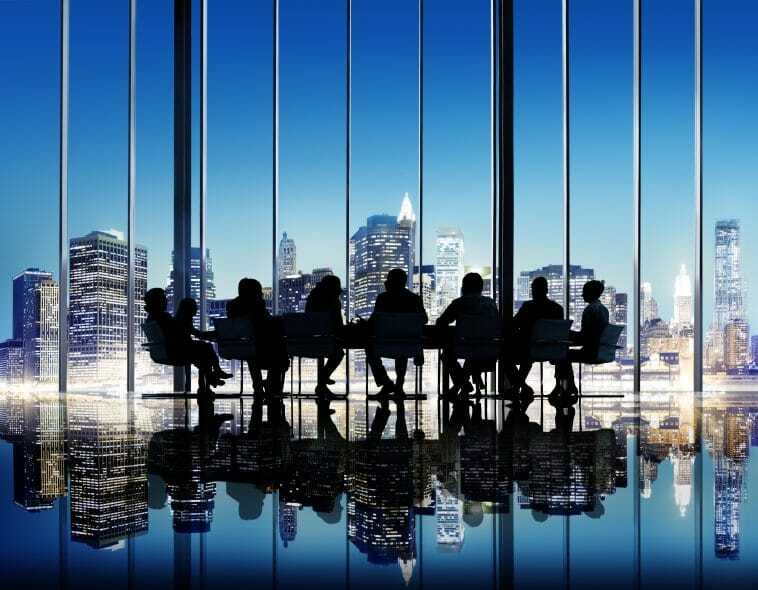 Company directors and owners are usually not considered to be employees of the company, unless they have been hired to the managing or director position. Thus, as a rule, they are exempt from the coverage of the above-mentioned insurances and must take care of their health/life insurance on their own. When it comes to health insurance, business owners may join National Health Insurance system (国民健康保険, kokumin kenkou hoken) the same way their workers do (by paying monthly contributions in proportion to their income) or they may opt for a private insurance. term-based (temporary) implies that dependants or a family of a deceased person will get compensation for a set period of time. investment-based (permanent) is proportional to the payments invested. In a way, it is like a saving account: the earlier you begin, the more money you accumulate. Home insurance. It covers loss and damage to your home or its contents in case of fire, flood, storms, etc. It can also include medical cover for third parties if they have also got damaged due to events in your property. The average cost is about JPY 20,000 – 50,000 for two years. Earthquake insurance should be purchased separately, if needed. It costs nearly JPY 20,000 – 50,000 for two years. Number of full-time workers, etc. There are several companies of international and Japanese origin providing life and non-life insurance services in Japan. Some of them also have English versions of their websites and seem to be serving their clients also in other languages than Japanese. While English is the most common option, it is worth remembering that availability of the web pages in different languages does not guarantee that one will be able to get services fully in English or other languages. It is also true that non-Japanese pages often contain only the summary of the available services and may significantly differ from their Japanese originals. That is why it is highly recommended to shop around to find out if the offices of the insurance companies near you have English-speaking personnel. You might want to ask for assistance from your Japanese-speaking acquaintances. We have listed some of the companies that target English-speaking customers and might work for you. Zurich Insurance has been insuring people for over a hundred years and is a multi-national company that offers three types of insurance: direct business, wholesale business unit, and corporate business unit. This is a well-established and reputable business with offices in Tokyo, Osaka, Nagasaki, Hokkaido, and Toyama. CHUBB Insurance provides services to a different types of businesses: “multinational corporations, local businesses, public entities, small-to-medium enterprises, not-for-profits, and other organizations with property and casualty exposures” as stated at their website. Tokyo IRS focuses on risk and liability management as well as on life and health insurance for private and legal entities. Some of their products include required general and professional liability insurances, employees’ liability insurance, and director’s and officer’s liability. MARSH is an international insurance company that has establish an office in Tokyo in 2017. They provide financial and professional indemnity solutions to businesses in Japan along with other services like logistics and analytics. CORNES delivers among other things a vast variety of business-related insurances and has offices in Tokyo, Yokohama, and Kobe. Other major companies of Japanese origin providing services in English but with less informative English versions of their websites include Japan Post Insurance, Sompo Japan Nipponkoa, and Mitsui Sumitomo. Japanese market offers a vast spectrum if insurance services. For business owners it is compulsory to acquire public liability insurance, enroll their employees to employees’ labour insurance system consisting of unemployment insurance and accident compensation insurance, as well as professional indemnity insurance for those who provide individual professional services. It is also advisable for business owners to consider other insurances for their business, life and health since they are rarely covered by the standard national insurances. These may include coverage against natural disasters, theft and robbery, premises and revenue protection, etc. Premium rates vary significantly depending on the income levels and contract’s terms and conditions. The best idea would be to shop around or hire an insurance agent to find out the best combination of necessary insurances and prices. There are both Japan-born and foreign-born companies providing all kinds of insurance services in Japan also in English. What laws regulate insurance industry in Japan? The main law regulating insurance industry is the Insurance Act. How fast do I need to notify the Local Standards Inspection Office about upcoming insurance payments? For workers’ accident compensation insurance and employment insurance, within 10 days. For pension insurance, within 5 days. Who is considered a dependent for health insurance? The person’s spouse, children, grandchildren and siblings who is dependent under the insured person’s money can be eligible. What if I have a foreign worker in my company with a previous pension agreement? South Korea, Italy and the UK have eliminated double coverage with Japan. If you are not sure weather your non-Japanese-citizen employee has to be enrolled in the system, contact the Japanese Pension Service. Do I need to provide insurance to non-regular/part-time workers? Non-regular or part-time employees must participate in a National Healthcare Insurance program (国民健康保険, kokumin kenko hoken) and National Pension program (国民年金, kokumin nenkin). For foreigners to be able to apply for this type of insurance, they should stay in the country as residents for at least 3 months. The insurance covers 70% of expenses. It is separate from Employees’ Pension Insurance (厚生年金, kosei nenkin) that is a part of Social Insurance (社会保険, shakai hoken). It is meant specifically to cover non-regular and part-time employees working less than 20 hours per week as well as self-employed, unemployed, or retired. National pension was introduced to cover small business owners and the unemployed. Enrollment into National Healthcare and Pension program is the responsibility of the individual themselves.